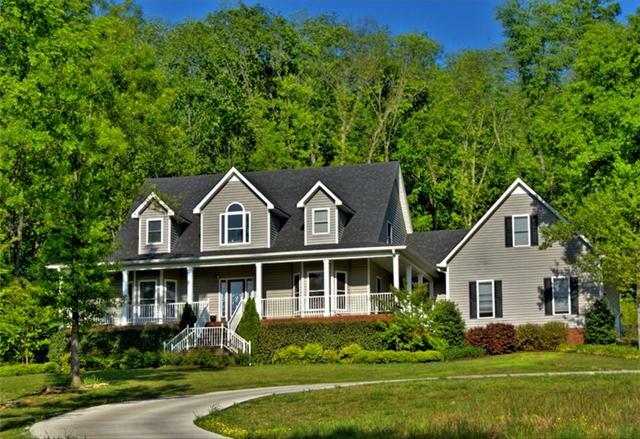 This beautiful home in Readyville, TN has over 3,300 square living feet for you to enjoy. Sit on your covered porch and see the great views of your 6.7 acres of land, or have fun on the back deck with above ground pool. This home includes 4 bedrooms and 2 and a half bathrooms, bonus room, media room, and office. The first floor of the house includes hardwood floors. Home also features mud room and laundry room, and a concrete driveway leading up to an oversized 2-car garage. Cannon County is a centrally located county in the heart of Middle Tennessee. It is well known for the arts and crafts of the area and small town living. Readyville, TN, halfway between Woodbury and Murfreesboro, is located along the east fork of the Stones River. The Readyville Mill located in downtown Readyville is open to the public on Saturdays. Enjoy Readyville's beautiful views and plentiful fishing locations. Nashville International Airport is within an hour drive of the town.